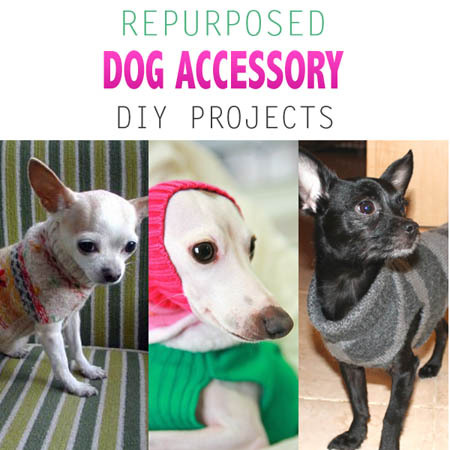 If you love going to Thrift Shops…Garage Sales…Flea Market and more or if you happen to have some old sweaters that no longer fit or might be a little out of style…then you are going to adore this collection of Repurposed Dog Accessory DIY Projects. Each one is created from an old sweater! Yep…sweaters that make doggie sweaters…sweaters that create soft and cushy beds for your furry friends and more! 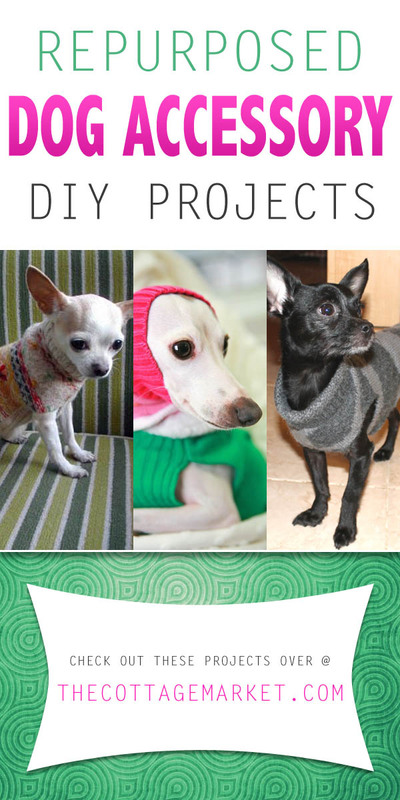 All of the repurposed Sweater Dog Accessory DIY Projects here are quick …easy…budget friendly and plain and simple…FABULOUS! If you have a sweater that doesn’t fit but you just can’t aprt with it…how awesome is it to see your doggie wearing it. You are going to adore the DIY Projects that await you and you will be putting a ton of COZY into your pet’s life and also keeping them toasty. Are you still here…I thought you might be checking your drawers…closets or got into the car on your way to the closest Thrift Store. Sure hope you have fun with these DIY Projects! As always here at The Cottage Market we are sending out tons of APPAWS and APPLAUSE to all of our fellow bloggers for sharing their creativity and talents with us each and every day. We want them to know how much they are loved and appreciated. Have fun exploring their blogs. Now the only thing left to do is to ENJOY and CREATE! I love this collection of recycled sweater ideas! My only concern is deciding which project to try first. Hmm…I’m sure my doggies will be happy with any of them. Thanks for the inspiration!